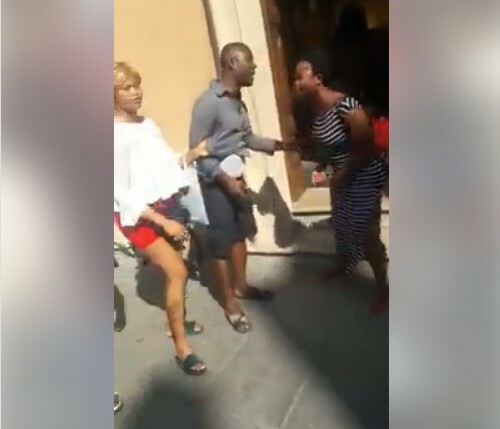 A Nigerian man was humiliated in public today by some Nigerian ladies for allegedly scamming fellow country girls with promise to give them jobs in order to sleep with them. 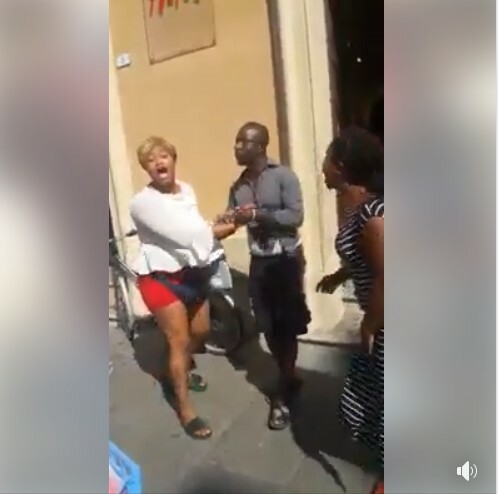 The disgrace happened in Reggio Emillia area in Italy as two ladies held the man publicly on the street after accusing him of sleeping with various Nigerian girls all in the name of giving them jobs. 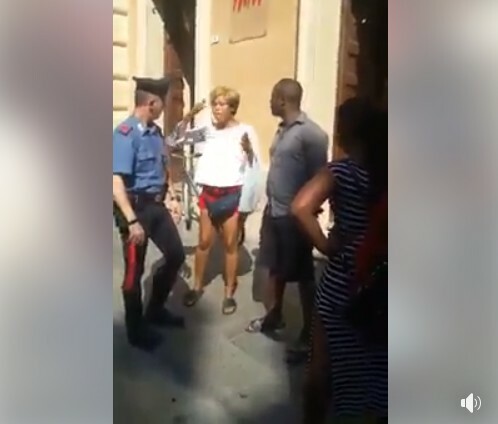 The incident caused a scene in the area as passersby looked on before a policeman came to the man's rescue.